For nearly a decade, we drove by TEX Drive In during our visits to the Big Island without stopping. We had no idea what we were missing until a friend told us that we must stop. We were missing malasadas. Malasadas are Portuguese sweet bread and fried donuts. You may order them up with or without a filling. With a filling, they are about $1.50. When we arrived mid-morning, they had a sign on the counter with the flavors available that day. They were served warm and fresh, sprinkled with sugar. 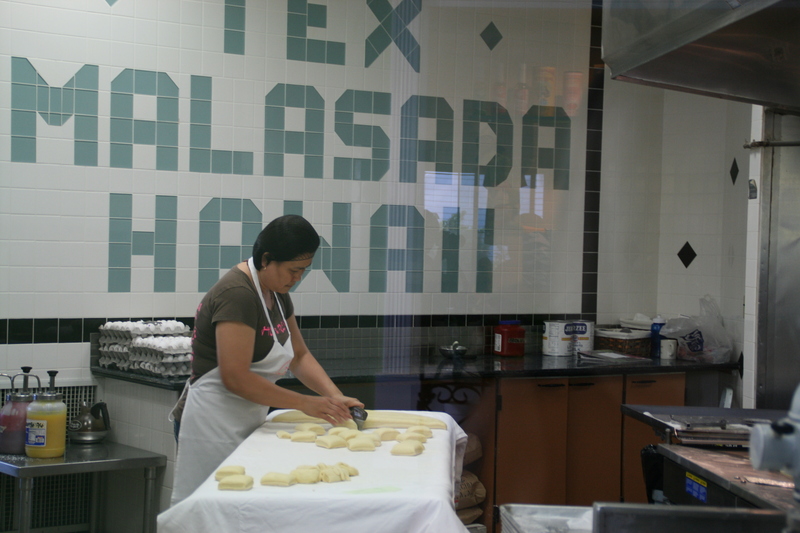 Located in Honoka’a, TEX Drive In opened in 1969 and specializes in “ono Kine grindz,” or local Hawaiian food. Along with the world-famous malasadas, they have a menu of breakfast items, burgers, wraps, stews, soups, sandwiches and salads. 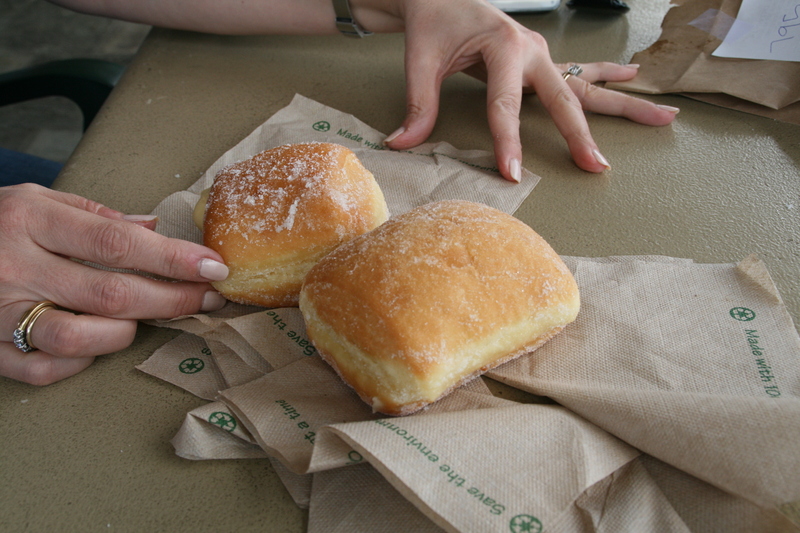 No, the malasadas are not health food. Yes, you should have one and then plan an extra long hike later that day in paradise. Order one up with your filling of choice and grab one of the outside tables for a view of the Pacific in the distance. 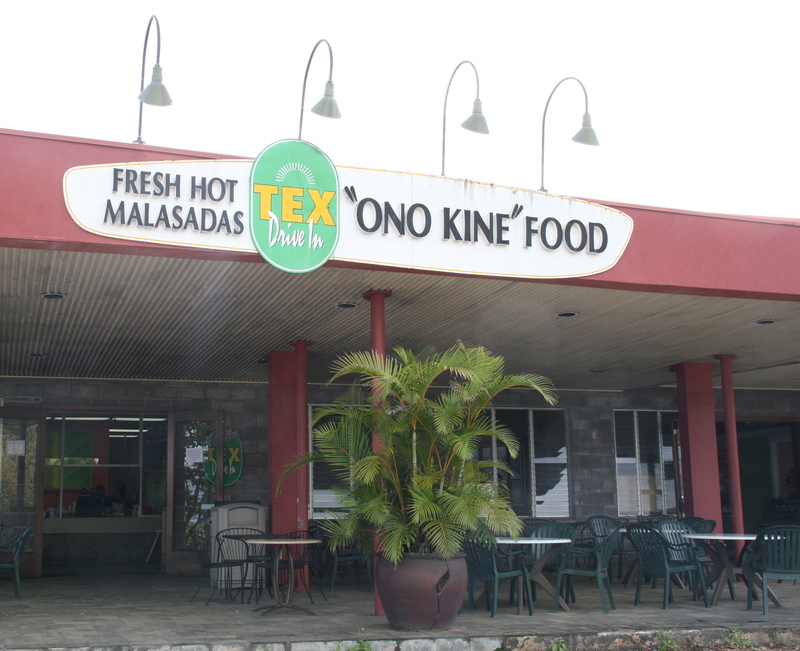 TEX Drive In is located at 45-690 Pakalana Street, Hwy. 19 in Honoka’a. It’s a great place to stop on a drive between Waimea and Hilo. They are open every day, except for Christmas, from 6:30 a.m. to 8 p.m. This entry was posted in Big Island, Hawaii, Hawaiian food, Travel and tagged Big Island, Big Island restaurants, Hawaii, Hawaiian food, Hawaiian Islands, Honokaa Hawaii, Malasadas by alohajournal. Bookmark the permalink.